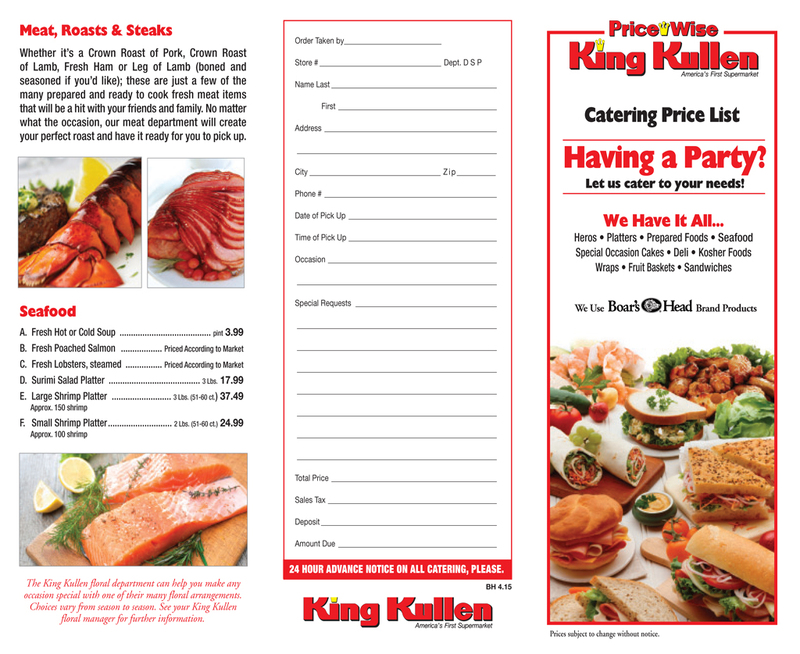 King Kullen’s catering department has everything you need to cater your next event. From birthdays to weddings to corporate events, Long Islanders know our catering department provides high-quality foods every time. Our in-house chefs are always in the kitchen whipping up new dishes and catering options to make your next party something unique. From delicious appetizers to fresh salads, crispy crab cakes to tender roasts, pies, cakes and more, King Kullen offers a wide menu of exceptional foods for you to choose from. We can keep it simple and prepare platters for your next meeting, or put together a five-course catered dinner that will wow your guests and keep you out of the kitchen. Check out the catering menus here on the site, and call our catering department for your next event! And don’t forget about our custom birthday and wedding cakes! Find your nearest King Kullen supermarket today!